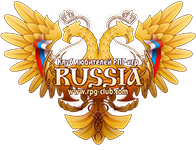 RPG-Club "Russia" happilly fulfills long given promise and announces new chronicles. Evolution [x1] server on Ertheia official platform will be launched on 11 September 2017! We are also eager to please High Five chronicles fans - RPG-club's top priority are still the classic chronicles of LineageII. New server on High Five official platform is scheduled for late fall 2017! Take part in a preliminary vote and help determine the most attractive type of server for you. rates, ingame shop assortment and many more. Specially for players who intend to play on both servers we present system of bonuses for ingame achievements! Reach certain goals on Evolution [x1] server and get useful and pleasant prizes for your character on the future High Five server! Participate in pre-launch PR campaign and get rewards on the new server! Don't forget about the unique opportunity to reserver your ingame nick on the new server before the start! everything after gracia is dead chronicles. We have another view for L2 Store. And dont sell T-shirts; brooshes and another equip in L2 Store.